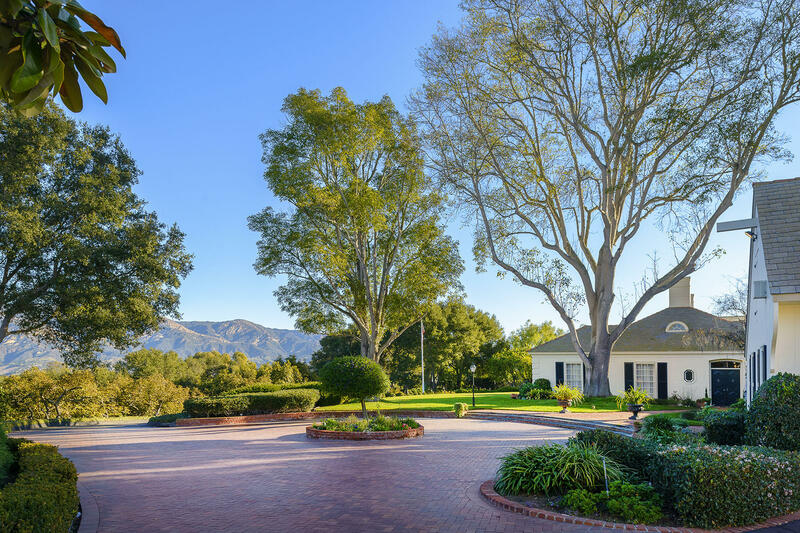 Passing beneath the elegant wrought iron sign suspended across Las Palmas Drive, one enters Hope Ranch Park. 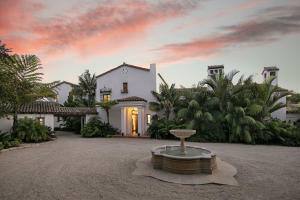 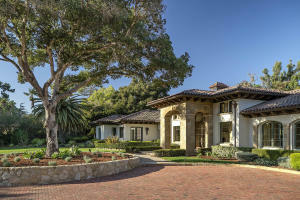 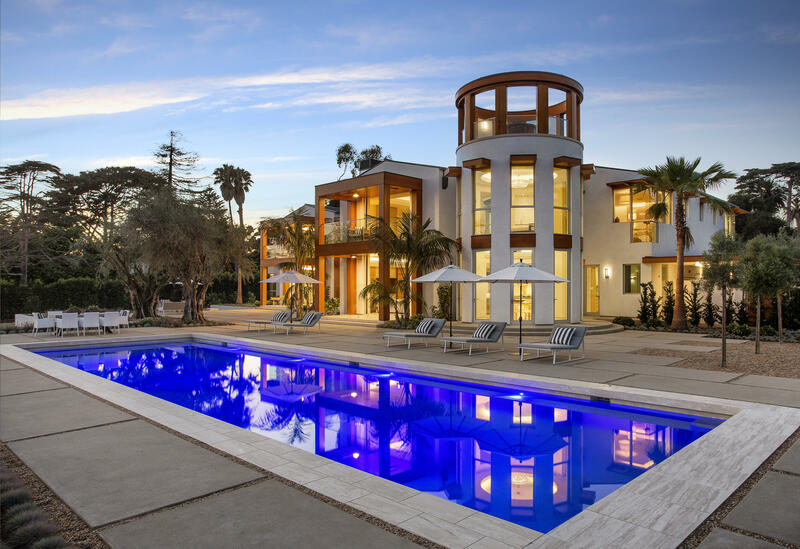 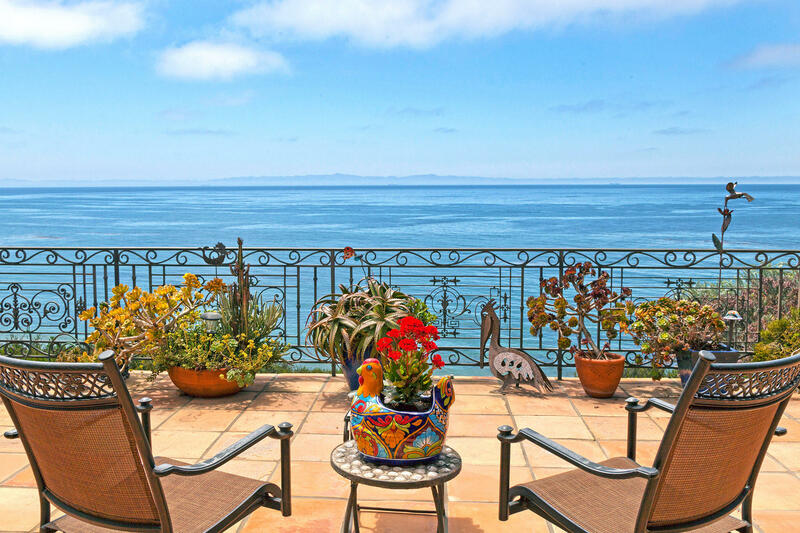 The beauty of this elite Santa Barbara suburb is immediately apparent as Las Palmas Drive itself is lined with towering Canary Island date palms and overlooks La Cumbre Country Club with its shimmering lake. 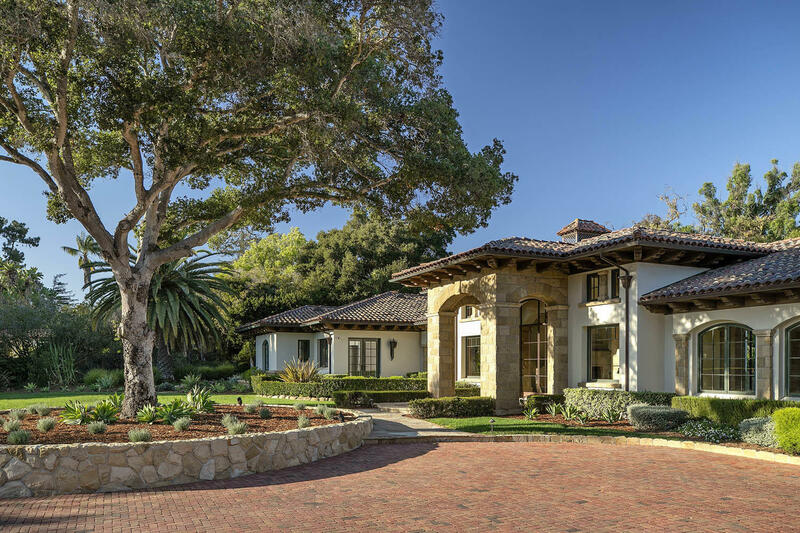 Incorporated in 1924, the Hope Ranch Homes Association watches over such matters as architectural standards, fire protection, zoning and road maintenance. 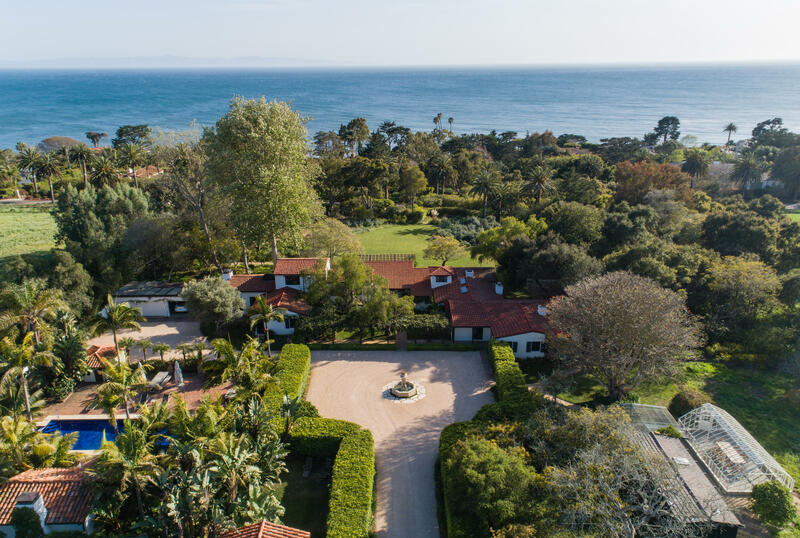 Membership in the Association is automatic with home ownership and brings many privileges: the private beach (complete with picnic tables and cabanas), tennis courts, 30 miles of bridle paths meandering throughout the ranch with beach access, and private security patrol services. 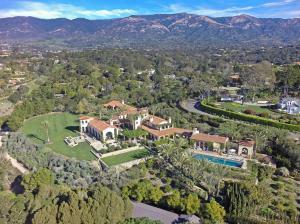 Hope Ranch Park homeowners have rejected annexation to the City of Santa Barbara, preferring instead to maintain their autonomy. 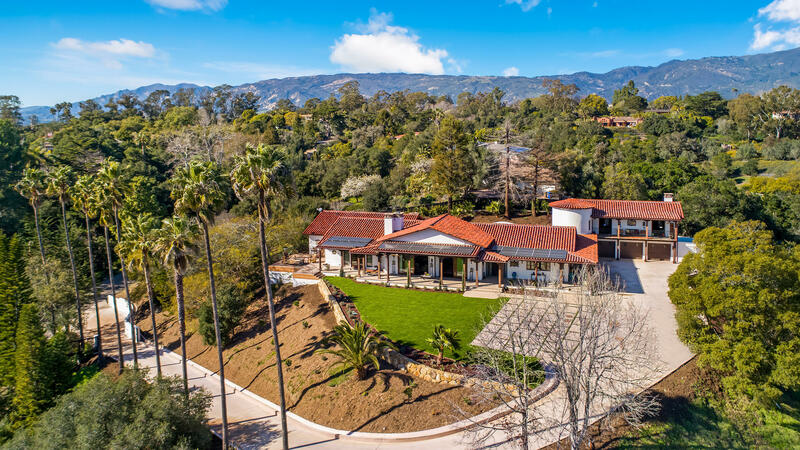 As a result, Hope Ranch continues to maintain the lofty standards of suburban living which have been in effect since the developer of Hope Ranch advertised his “sun kissed, ocean washed, mountain girded, island guarded Hope Ranch” more than half a century ago. 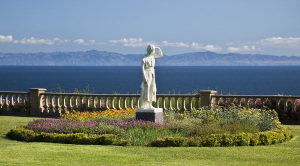 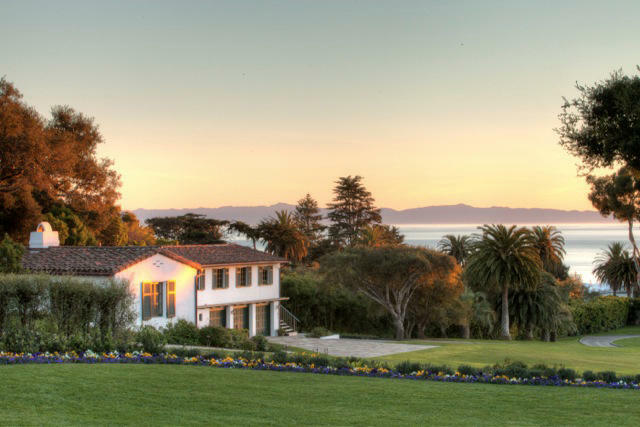 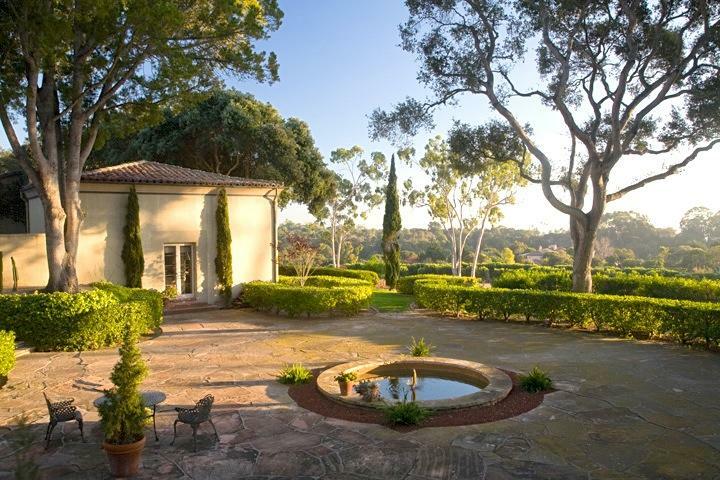 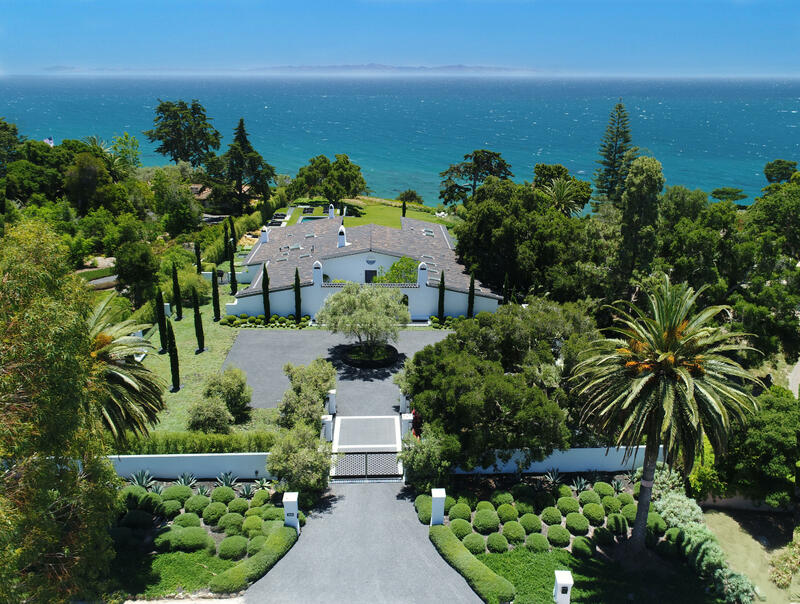 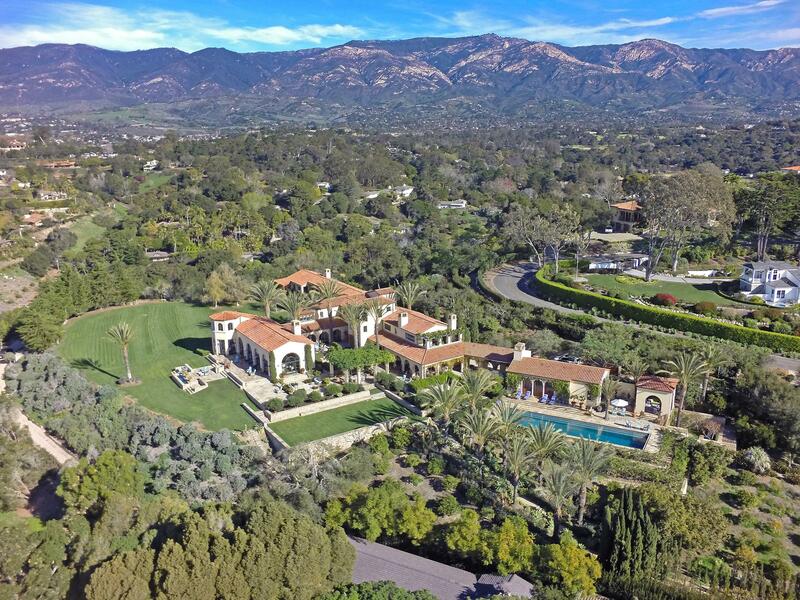 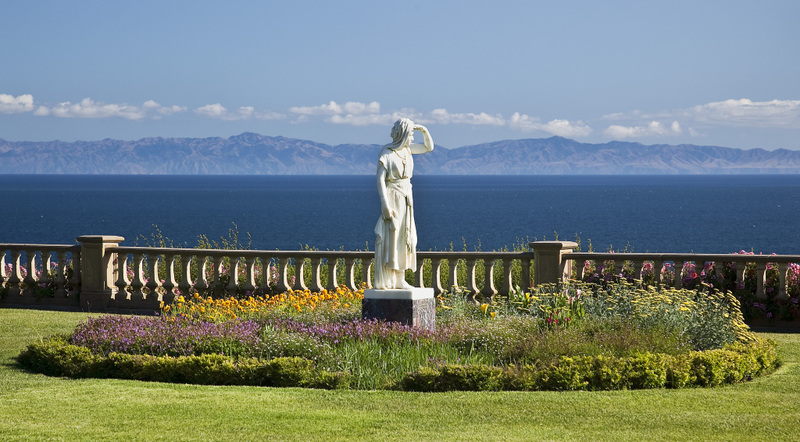 The first of scores of major estates to be developed in Hope Ranch, complete with mansions and formal gardens to rival the finest Montecito has to offer, were completed in 1925. 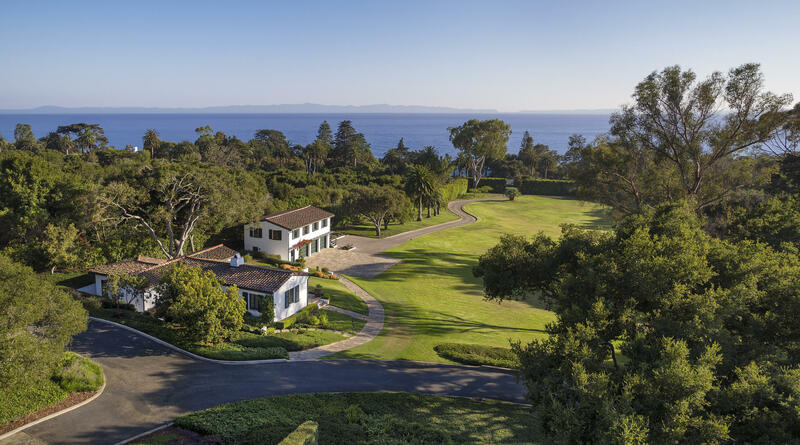 These estates bore the unmistakable hallmark of two of America’s contemporary architects, George Washington Smith and Reginald Johnson. 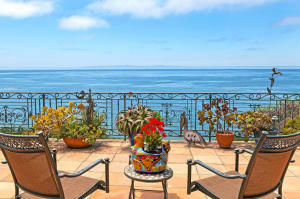 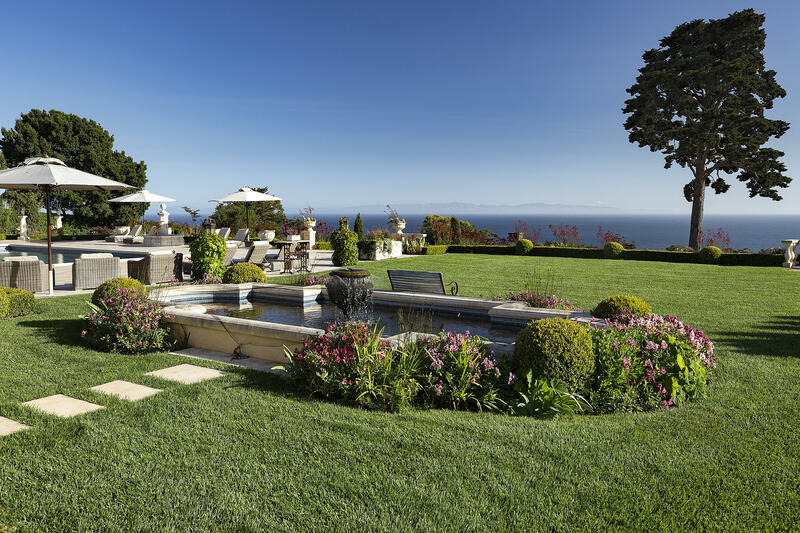 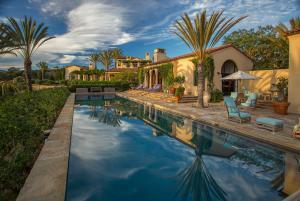 Today, Hope Ranch offers a unique combination of distinctive properties and magnificent estates, many of which take advantage of stunning ocean and mountain views. 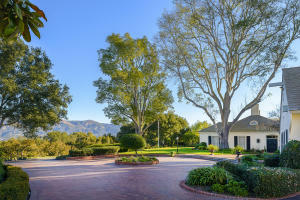 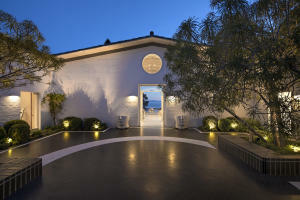 The minimum lot size in Hope Ranch is 1.5 acres and ranges up to 50 acres, giving Hope Ranch a spacious open feeling.